¡Como Mexico No Hay Dos! In any discussion of contemporary immigration the most emotionally divisive arguments are either about Muslims or Latin Americans. But the vast majority of the undocumented – “illegal aliens” – are Mexican. So we are really talking primarily about Mexicans. 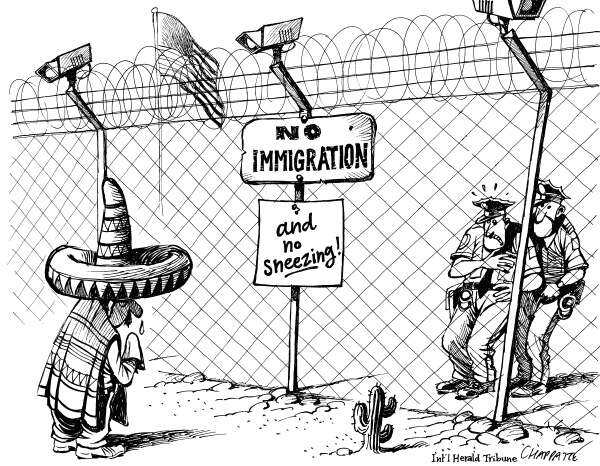 Conventional anti-immigrant fears are primarily about these four issues: job-loss (They’ll put Americans out of work), crime (They are all drug users), taxpayer expenses (They all go on welfare and pay no taxes) and refusal to assimilate (They don’t learn English). So let’s get the rational discussion out of the way quickly. But before that, let’s remember that the Paranoid Imagination never needs to be logical. It’s built upon fear and anxiety, which are themselves irrational, so it easily combines complete opposites in the demonization process. For centuries, racist fear mongers regularly warned that African-Americans were both lazy and likely to steal jobs away from whites, not to mention being sexual predators. Few noticed and fewer cared that these stereotypes cancelled each other out. Richard Nixon warned against the forces of anarchy and totalitarianism in the same speech. After the Parkland, Florida High School shootings in February 2018, NRA CEO Wayne LaPierre accused Democrats (again in the same speech) of being both socialists and “elitists.” Since this tactic never fails to rouse hateful voting patterns, if not outright lynching, the current crop of reactionaries has simply turned the same light onto Latinos. Jobs? Does anyone still believe that there is little connection between immigrant labor and unemployment rates of native-born workers? See here and here. And such immigrants pay massive amounts of taxes into Social Security. Invasion? Indeed there was a surge in Mexican immigration to the U.S. in the mid-1990s. It was caused almost entirely by the NAFTA trade agreement. In other words, since the Crash of 2008, more unauthorized immigrants have been leaving than entering the country. As bad as the Mexican economy is, many have found it more palatable than ours. Recently, there has been an increase in refugees and applications for asylum, and much of it seems to have resulted from increased violence caused by American policies, such as the 2009 coup in Honduras (not to mention the war in Syria). It may come as a shock to our American arrogance, writes Tisha M. Rajendra, that most people in most countries have no interest in moving to the U.S.
Crime? Crime rates during the period 1999–2006 were lowest in states with the highest immigration growth rates. The top four big cities in America with the lowest rates of violent crime are all in border-states: San Diego, Phoenix, El Paso, and Austin. Put another way, the closer your city is to Mexico and the more immigrants in your city, the safer you are likely to be. Indeed, foreign-born people in America—whether they are naturalized citizens, permanent residents or undocumented—are incarcerated at a much lower rate than native-born Americans. Terrorism? This is a sub-category of the Crime issue that, of course, relates more to anti-Muslim fears. But almost all terrorist actions and mass shootings in the U.S. have been perpetrated by native-born white men, a very high percentage of whom are self-described white supremacists. …such U.S. industries as agriculture, construction, tourism, restaurants and hotels, and hospitals – all industries that cannot readily outsource – have long recruited and supported the immigration of low-wage workers, legally or illegally. Immigration “solves” their competitive problems. I can’t quantify this next thought, but it makes sense to me. Many of the mega-rich who control these industries, who really depend upon low-wage, undocumented immigrants, also contribute generously to the fear-mongering politicians who work to increase funding to the now 20,000-strong immigration patrols. I don’t know if these people have carefully considered the consequences of their actions. And yet…those policies have resulted in a large population of “illegal” Latinos, many of whom are deathly afraid of speaking out and forming unions, let alone demanding increased wages. The corporate elites want a truly compliant work force, and they have one. And – are you ready for this one? – Depending on how you measure success, Mexicans are actually the most successful immigrants in America! We are getting closer to the essence of the emotions involved when we consider a fifth issue. Fairness? (They should immigrate legally – our ancestors did). Contemporary nativists proudly assert that their families immigrated legally. 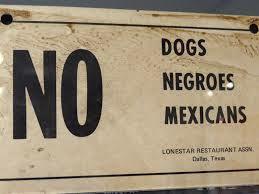 But, as I noted above, many people who arrived between 1790 and 1924 would not be allowed in under current policies. During that time the U.S. allowed any able-bodied non-Asians to immigrate. There was very little federal regulation and virtually no laws to break. There were no numerical limitations, no border surveillance, no requirements to have an existing family or employment relationship with someone in the U.S., and no need to obtain visas prior to arriving. Immigrants would simply arrive at ports of entry such as Ellis Island, be inspected for disease, and attain entry if they didn’t fall into any of the excluded categories. Once the Immigration Service was created, it excluded only one percent of the 20 million immigrants from Europe who arrived at Ellis Island between 1880 and World War I. But in the West, where anti-Chinese hysteria and mob violence, stoked by a series of economic depressions, had continued for decades, 18% of applicants were rejected over the 30 years existence of the Angel Island Immigration Station. When Congress passed the Chinese Exclusion Act in 1882 it was perhaps the only time in world history that a country denied entrance to people based exclusively on their skin color and country of origin, and Congress regularly extended it, adding further restrictions, such as the Geary Act. The subtext of this argument (It’s not fair – we played by the rules and got screwed!) is voiced by those who believed naively in the Dream, who have suffered under economic centralization, who feel that they have been victimized by minorities and who cling to their white privilege because they have little else to hold onto. This misdirected anger arises at every point in American history when economic depression throws our sense of who we are – the people who make their own futures, who build the dream of prosperity – into jeopardy. Nativist reactionaries from every period have always been drawn from the economically insecure lower-middle class, not the poor. This includes the Ku Klux Klan, which, between 1915 and 1925 had 4-5 million members, including tens of thousands of Protestant ministers. All of these factors have impacted the issue of DACA (Deferred Action for Childhood Arrivals) and the over-one million young adults who arrived here as children, the vast majority of whom speak fluent English, have no connection to the countries of their birth, and have committed (by definition) zero crimes. Ninety percent of Americans, including a clear majority of Republicans, want the “Dreamers” to remain in the country. Yet they remain in jeopardy. I wrote that last statement before the news broke this past spring of the thousands of immigrant children separated from their parents by the thugs of the U.S. military/immigration establishment. We can only understand this bizarre level of gratuitous cruelty in terms of the myth of the sacrifice of the children, and we must never forget that the this murder, the threat of it, or the willingness to practice it is the most fundamental narrative underlying all of western history culture. It lies at the base of any discussion we could have about politics. And, lest we succumb to the temptation of repressing the sordid histories of slave auctions and Native American schools, we recall, as Ricky Riley writes, that “Ripping children away from their families is as American as apple pie.” For more, see Chapters Six and Ten of my book. Again, most of the above comprises the logical rebuttal to the reactionary rhetoric. However, these facts have little effect on the public discourse, because they don’t address the deeper emotional fears that conservatives manipulate so adroitly, such as the sixth issue: the very recent (but very old) fear-mongering about dirty immigrant children bringing horrible diseases with them, infecting the good citizens of El Norte. The hordes of illegal immigrant minors – Unaccompanied Alien Children (UAC) – entering the U.S. are bringing serious diseases—including swine flu, dengue fever, Chagas Disease, leprosy, malaria, “drug-resistant tuberculosis”…there may be a lot more victims of the dreaded Ebola virus being evacuated to the United States than we are being told about. 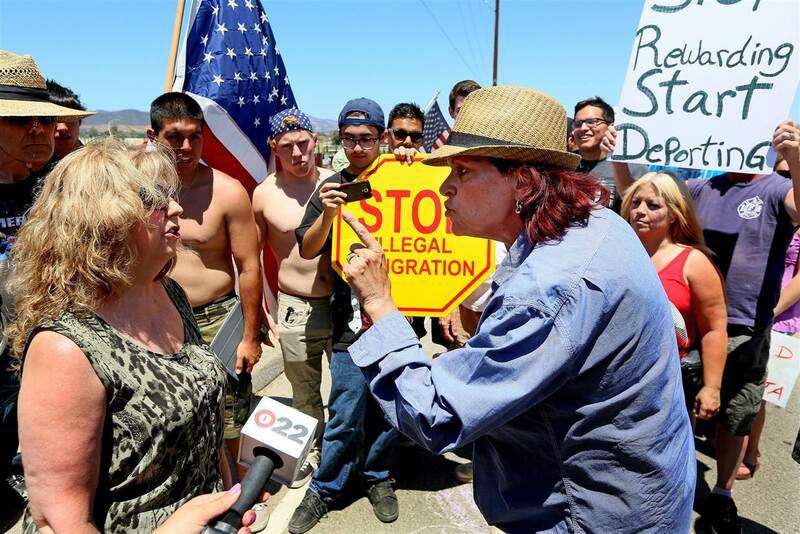 But, as always, we mythologists press on beyond both the prejudices and the facts to ask why the fear mongering about disease is effective enough to motivate a mob of flag-waving citizens in Murrieta, California to blockade buses of detained immigrant children and turn them out of their city in July 2014. We have to ask the questions that I pose repeatedly in my book: What are they so afraid of? What are they so angry about? Here, as we consider the cleanliness that Christians have long associated with “Godliness,” we re-discover the Puritan core of our national psyche: our obsession with purity.